Our girls Spanish dancer costume is great for any little senorita! 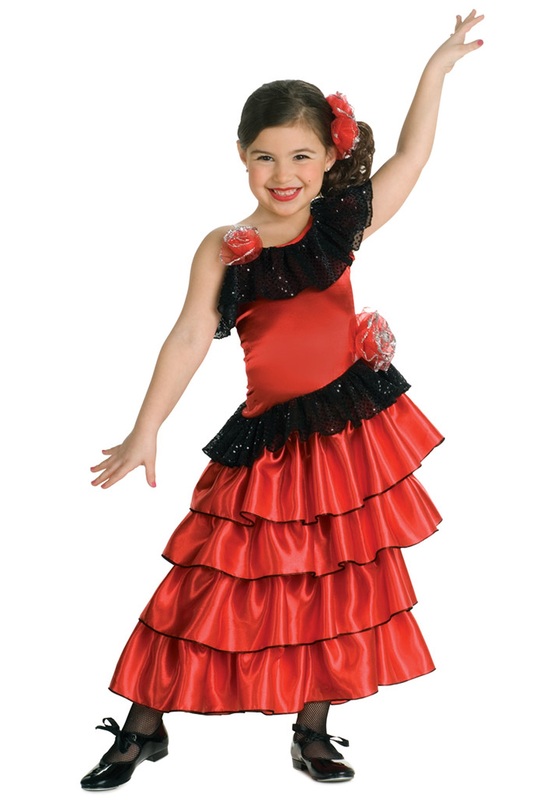 This red polyester dress for kids will give her the look of a cute Flamenco dancer. It has a layered red skirt. The black mesh accents at the waist and chest have metallic sparkles. 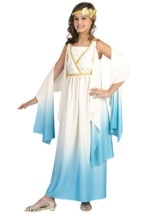 The dress is worn over one shoulder; the other shoulder has a clear strap. The back of the dress is a spandex-blend for a comfortable fit. The dress also has two red flower accents, at the waist and shoulder. The included headpiece is a black comb with red flowers. 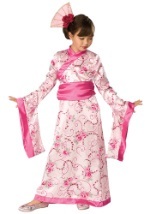 (NOTE: The flower accents on the dress and headpiece are not as large as pictured.) Add even more fun with our flower hair piece!